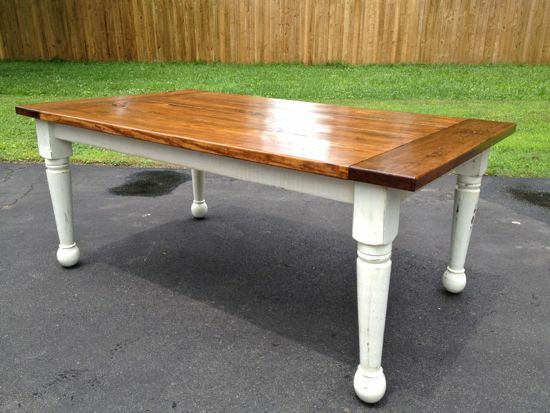 What can you make with an old tabletop and antique bedposts? 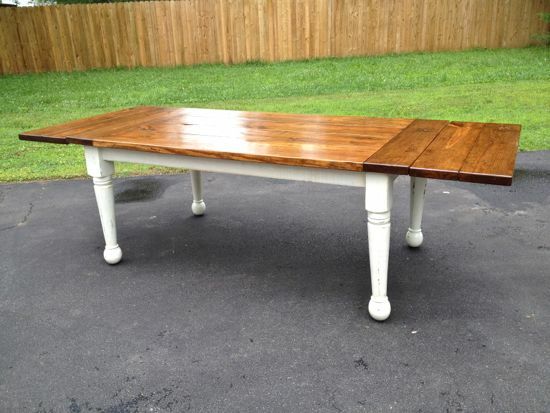 A pretty sweet farmhouse table. I’ve been wanting to incorporate these bedposts into a table design for quite a while now. I decided to whip together a table base using the posts. 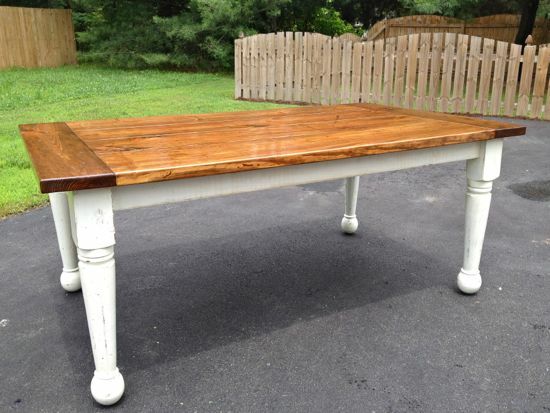 I simply followed the same method as I have on all the other farmhouse tables (plans here). Once the base was constructed, I cut out my notches to allow for the extensions. I applied two coats of white paint on the base, then sanded/distressed, and rubbed down with special walnut stain. 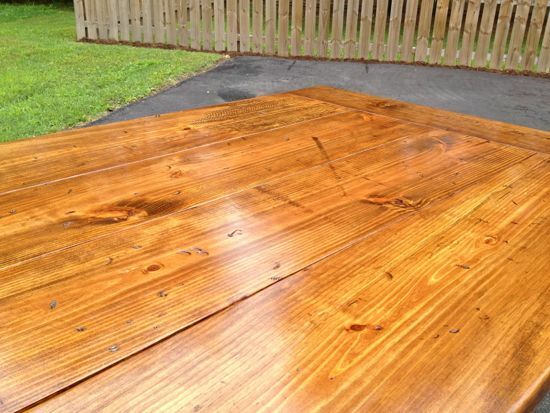 I applied several coats of General Arm-R-Seal on the base and then a good 5-6 coats on the tabletop and extensions. I think it turned out awesome and is definitely a one-of-a-kind table. Probably my favorite thus far. It’s posted for sale on Craigslist if you’re in/around the Richmond area and interested.